Rugby Australia is readying itself for a protacted legal battle with Israel Folau after accusing him of ignoring warnings about his controversial social media posts. The three-time John Eales Medal winner and all-time Super Rugby top try scorer has until 3pm on Wednesday to respond to a formal notification from the organisation alleging he committed a "high-level" breach of the players' code of conduct, warranting his sacking. With no indication available to date that Folau wants to walk away from rugby, that means the dispute will go to a tribunal hearing before a panel of three people, a process that will likely not proceed until after the Easter break. 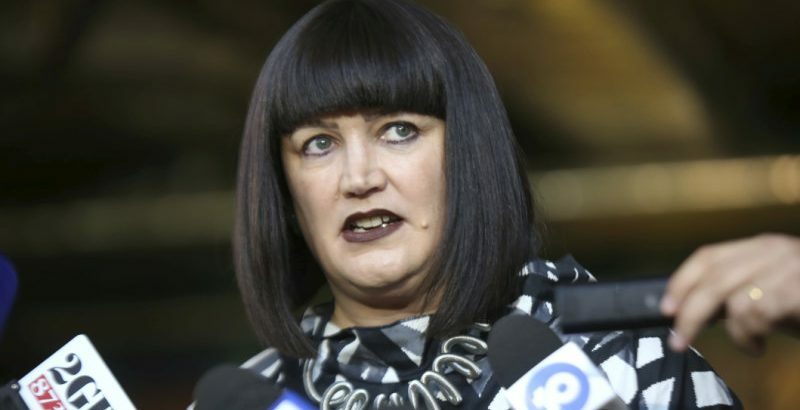 It is a nightmare scenario for RA chief executive Raelene Castle, who said Folau also flouted various verbal and written agreements, and even a handshake agreement, after his first post condemning gay people to hell a year ago, that he would not cross the line into disrespectful language again. "He accepted that conversation, he said that he understood that conversation, he shook my hand at the end of that conversation, said that he was very clear of it, and yet he has gone off and done what he's done." Castle said Folau had been unapologetic about the posts and his stance when she met with him last Friday. That came after he had been warned, formally and repeatedly about social media expectations after he made similar posts about a year ago. "It was made clear to Israel in writing and verbally when I met with him last year that any social media posts or commentary that in any way were disrespectful to people because of their sexuality would result in disciplinary action," Castle said. "Despite this Israel has chosen to ignore this warning." Castle revealed there were no extra clauses added to the four-year contract he signed earlier this year in the wake of a similar controversy a year ago. "Not within the contract, but there was a number of meetings, documented meetings, that were put … verbally and in writing to Israel about our expectations," she said. When asked whether the agreed to or accepted the expectations, she said: "Yes he agreed to them". Castle also said the breach notice related to a number of points in the code of conduct, which contains 10 clauses to which players must adhere. They include using social media appropriately, treating everyone equally and fairly regardless of sexuality among other things, and not acting in a way that might bring the game into disrepute. To classify Folau's actions as a "high-level breach", RA looks set to argue that his posts of April 10 on Instagram and Twitter were intentional, that the consequences of his actions were "reasonably forseeable"; that his conduct "may have caused offence to the general public's sensibilities"; that it might cause "reputational damage to Rugby AU", and that it would "more than likely breach Rugby Australia’s core values being passion, integrity, discipline, respect and teamwork". Castle said the difference between RA's handling of Folau's behaviour last year, which also saw him say on Instagram that gay people were destined for hell if they did not repent, was that he was warned it must not happen again. "Last year we recognised that Israel had put himself in a situation that did not represent the values of the sport. Everyone's entitled to make a mistake," she said. "We went through a process that left him in no doubt as to what our expectations were of that mistake. It was made to him very clear that going forward that the type of posts that were disrespectful like that would be unacceptable and there would be disciplinary action taken." She said he was not being punished for his religious beliefs. "This is not a religious discussion this is a discussion around the employee-employer relationship and the values and contractual arrangements within that agreement. That's the basis on which we've served him a breach notice." While he is on the outer with rugby, a return to rugby league remains unlikely for Folau as well after ARL Commission chairman Peter Beattie moved to shut the door on him last week. "I’ve had a relationship with Israel for a long period of time and I do hold him in high regard," NRL chief executive Todd Greenberg said on Monday.